There’s no question that Democrats are feeling energized these days about the prospect of a blue wave. Turnout in primaries has been up, and polls are showing voter preference for Democrats. But the primaries have also highlighted the rift in the party between the old guard and the new. Several high profile Democrats have fallen to primary challengers, most notably Rep. Mike Capuano and Rep. Joseph Crowley. In both cases, the incumbents lost to women of color. Crowley’s loss in particular has prompted a lot of attention, since the winner, Alexandria Ocasio-Cortez, is just 28 years old and a member of the Democratic Socialists of America. So, it’s fair to ask: when it comes to LGBTQ issues, will progressive candidates be better than the establishment Democrats they seek to replace? The likely answer is probably not so much in terms of policy, but potentially, a lot in terms of representation. The Democratic party has styled itself as the party of the LGBTQ community through its platform and national candidates. 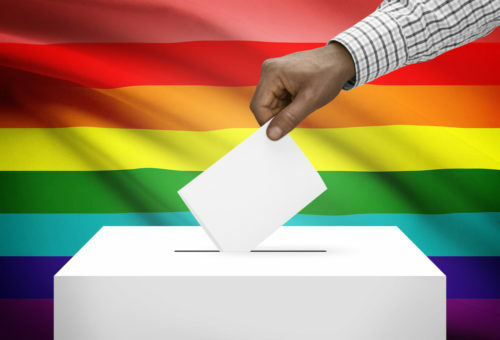 The party does drag its feet on key issues (e.g., marriage equality) before coming around, but in general, the party regulars say all the right things and vote the “right” way. Capuano was very much an advocate for LGBTQ issues in Congress, sponsoring legislation to repeal the Defense of Marriage Act (DOMA) and fighting President Donald J. Trump’s ban on transgender military personnel. That isn’t to say that there isn’t room for improvement. Progressive candidates may be willing to push harder and more vocally on key issues. They would be less likely to be squishy; progressives running in traditionally Republican states aren’t apologetic about their positions the way establishment Democrats can be. But especially in urban districts, there’s not likely to be much difference in voting records. Capuano and Crowley each had a 100% score from the Human Rights Campaign (HRC) for their voting records. Their successors will follow suit. Where the split among the old and new guards will make a difference is in representation. Despite its fealty to its voting bloc, the Democratic party leadership doesn’t look a lot like it. It’s largely white, male and straight – not as much as the GOP, of course. Republicans are doubling down on an older white electorate, while Democrats are appealing to a younger, more diverse population. The up-and-coming Democratic candidates are much more likely to be women and minorities than in the past. In fact, white men are now in the minority among Democratic Congressional candidates. That boom pertains to LGBTQ candidates as well. This year, more than 400 LGBTQ candidates are running for office, a record number that includes candidates for governor and Congress. Having someone who is a member of the community as opposed to just looking out for its interests is a big difference. Lived experience is much better than earnest education. It also serves as a model for other politicians. Of course, on other issues there may well be significant policy differences between progressive and establishment candidates. The 2016 battle between Hillary Clinton and Bernie Sanders made that obvious. So if the Democrats end up winning with a mix of establishment and progressive candidates this fall, it wouldn’t be a bad thing. In the long run, though, the party needs to figure out on which side its future lies.